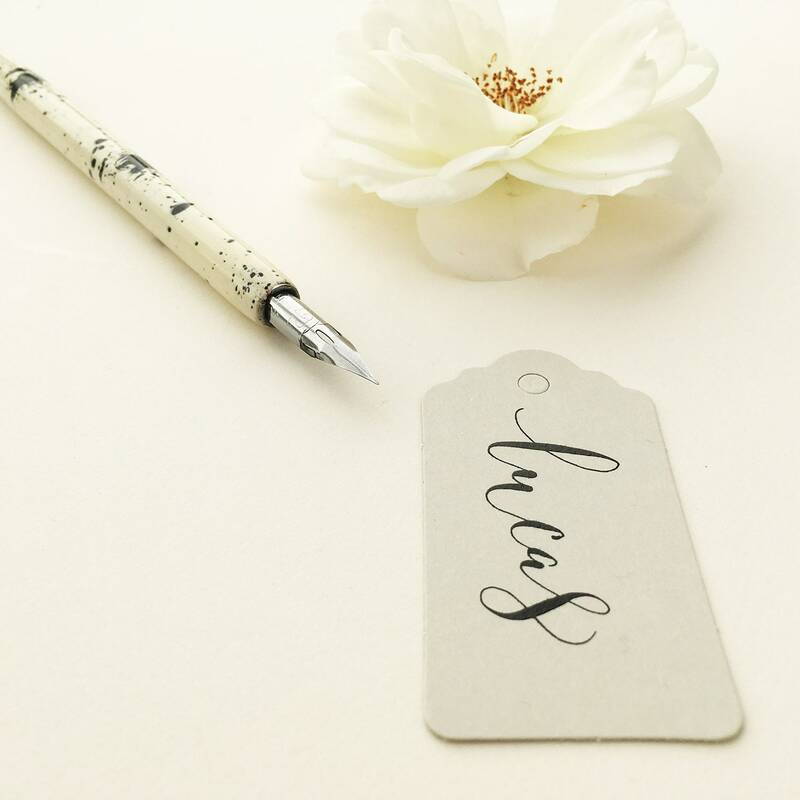 Bring a little modern elegance to your wedding tables and give your guests that special personalised touch they'll instantly want to keep and take home to remember your day by. 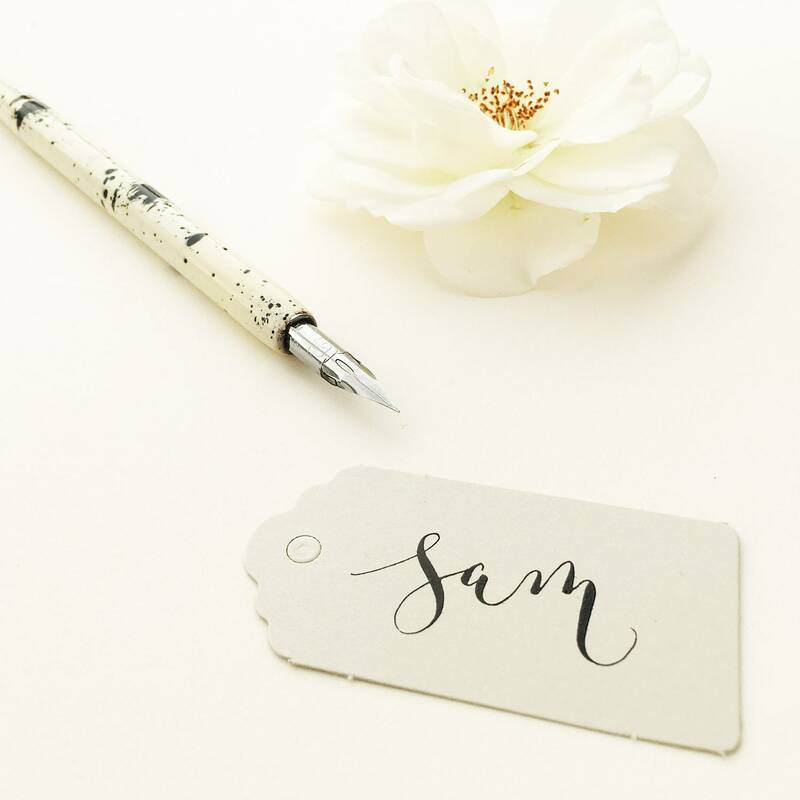 These elegant pale grey luggage tag place names are handwritten by an experienced, professional calligrapher in beautiful quality black ink, with a traditional dip pen. 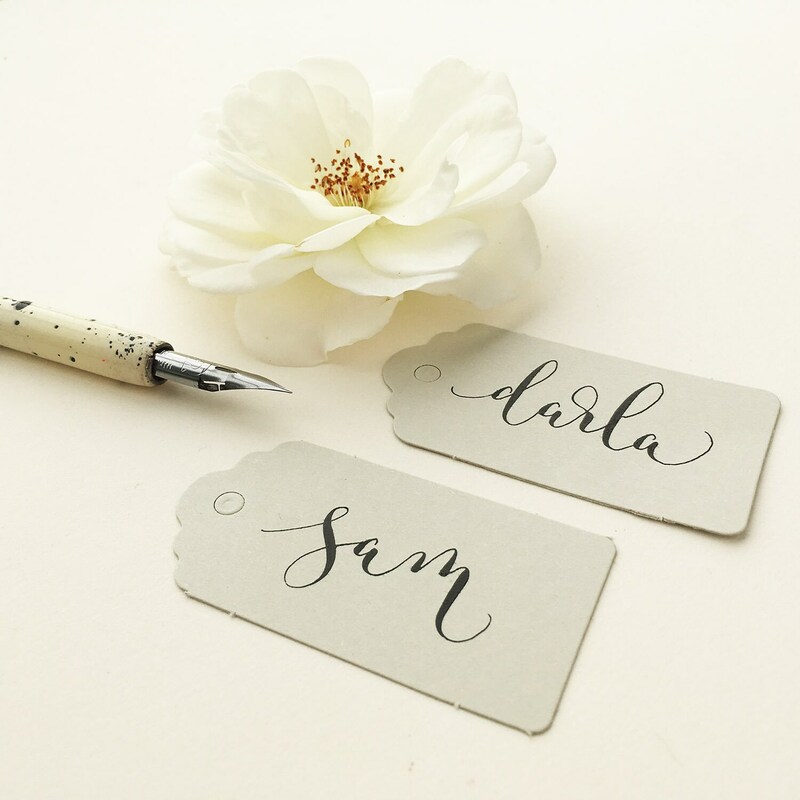 The lettering is in a playful modern calligraphy style, while names are still perfectly legible so guests can easily find their seats. 1. 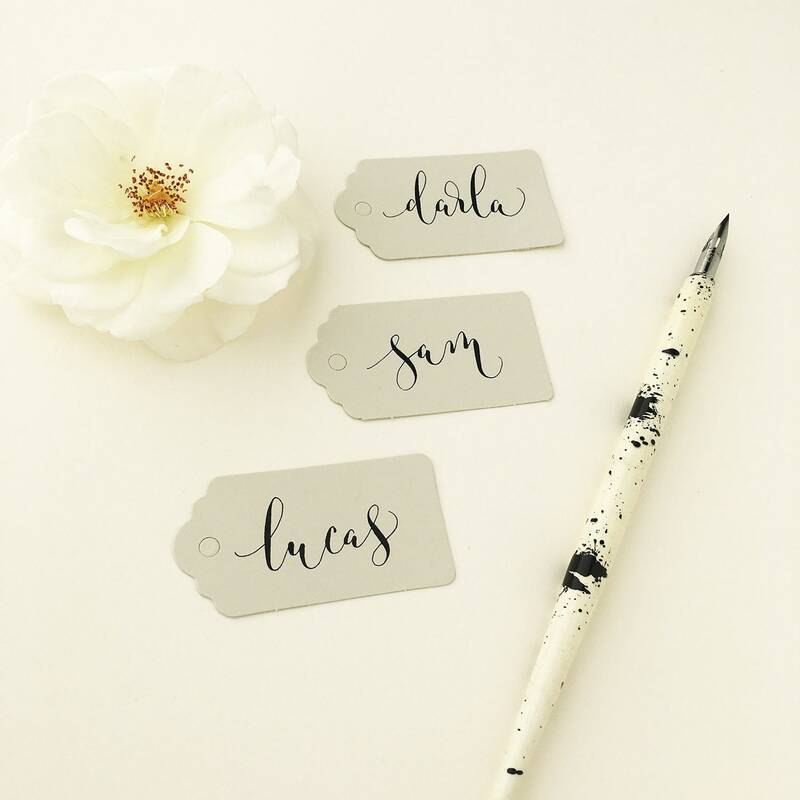 Select the number of tags you need, and add them to your basket. 2. 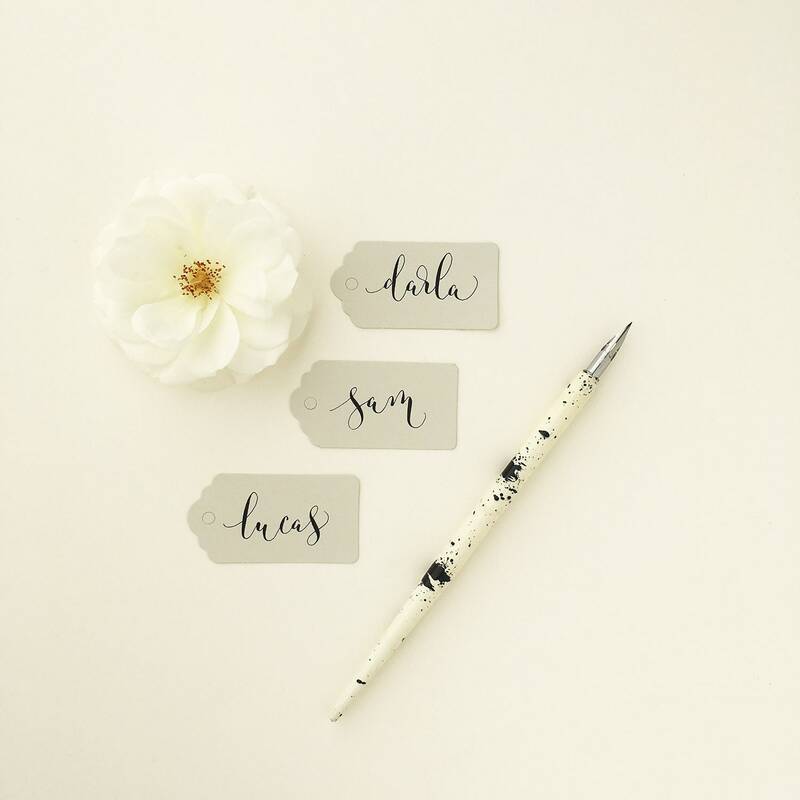 On the order screen where it says 'add a note' please copy and paste your list of names.